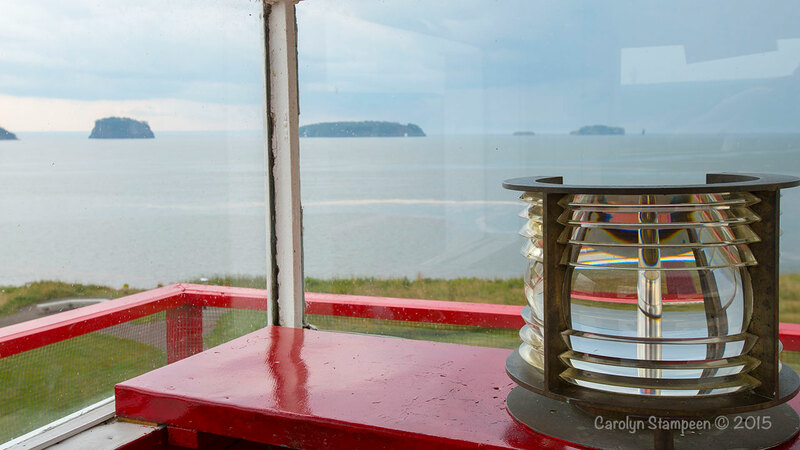 The Five Islands Lighthouse Park is located 24 km east of Parrsboro on Highway 2. 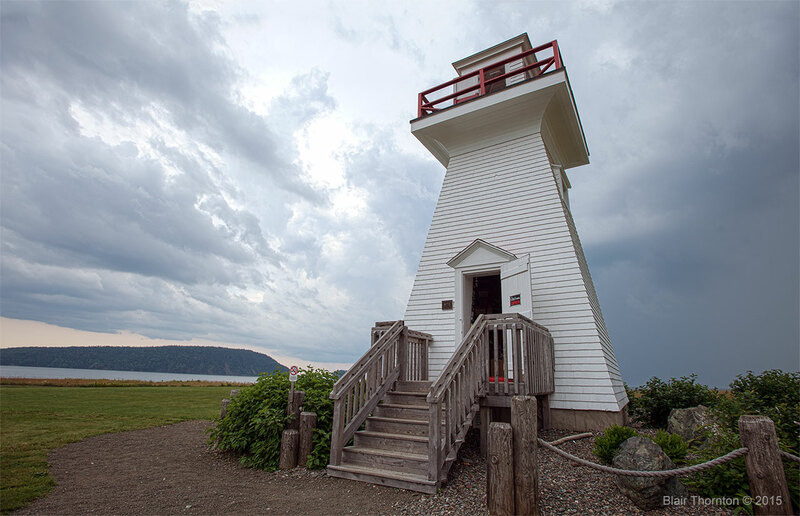 The lighthouse located at Five Islands Lighthouse Park has been moved back 4 times over the years as the frost, weather and tides cause a portion of the bank to wash away each year. The last time, it was moved 7km west to its current location at this park. 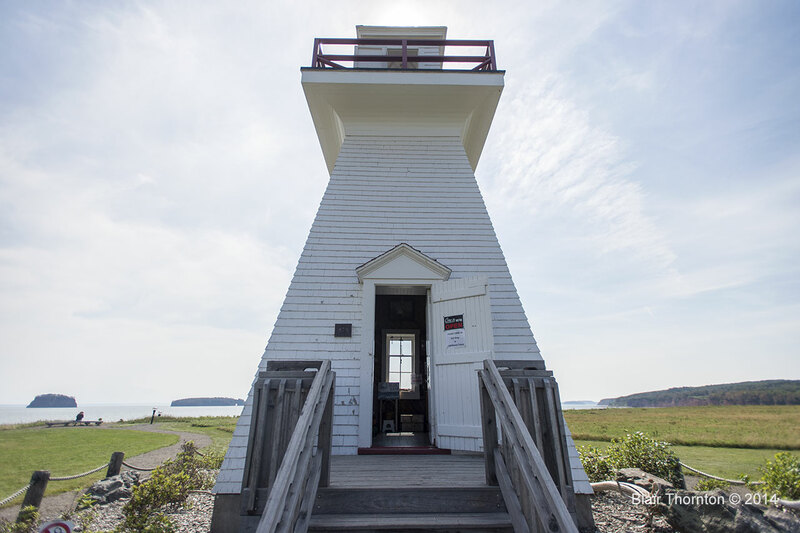 The lighthouse is open to visitors during the day – you can even climb up to the light to get a bird’s-eye view of the area! The road leading to the park is dirt, marked with a small sign and is very easy to miss. The park features 90 metre sea cliffs overlooking the world’s highest tides and a view of the islands. There is a day use area and it is also spectacular location for camping. The campground has 87 open/wooded sites including 26 of which are un-serviced. There are flush toilets. showers, a disposal station, playground, 2 picnic areas and an unsupervised beach that beckons to beachcombers and hikers. As with all beaches, especially those on the Bay of Fundy, be sure to know when the tide turns. Five Islands Lighthouse Park Info. 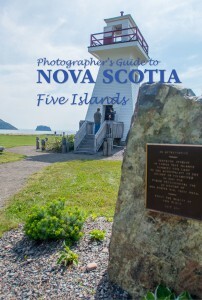 You may also be interested in our Five Islands Nova Scotia travel video. This entry was posted in Beach, Hike, History, Lighthouse, Travel video and tagged Five Islands, Lighthouse, Nova Scotia. Bookmark the permalink.